Only 2 hours outside of Downtown Atlanta is Highland Gap, a neighborhood of beautifully maintained mountain homes on naturally manicured estate sized lots. Tucked away on a wonderfully private 5.19 acre tract you will find a 4 bedroom, 3 and half bath home. 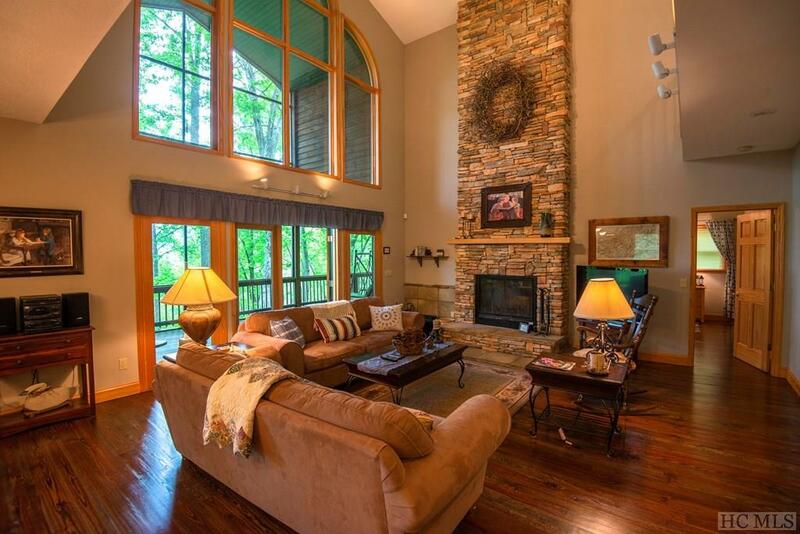 The home has views over the Little Tennessee River Valley, all the way to Albert Mountain and Standing Indian Mountain. This home features a newly renovated kitchen with new granite counter tops and stainless steel appliances. Soaring ceilings in the great room allow the view to filter through the whole main floor which also accommodates the Master suite. Walk out the french doors of the Master suite to the covered screened porch and find your private balcony with large family sized hot tub that takes advantage of the massive view. Overlooking the great room is a loft living area that is a relaxing space for the two upper level guest rooms to share. Below the great room is the terrace level media and game room and fourth guest suite. Even the porch has a vaulted ceiling that allows it to feel like an extension of the great room. 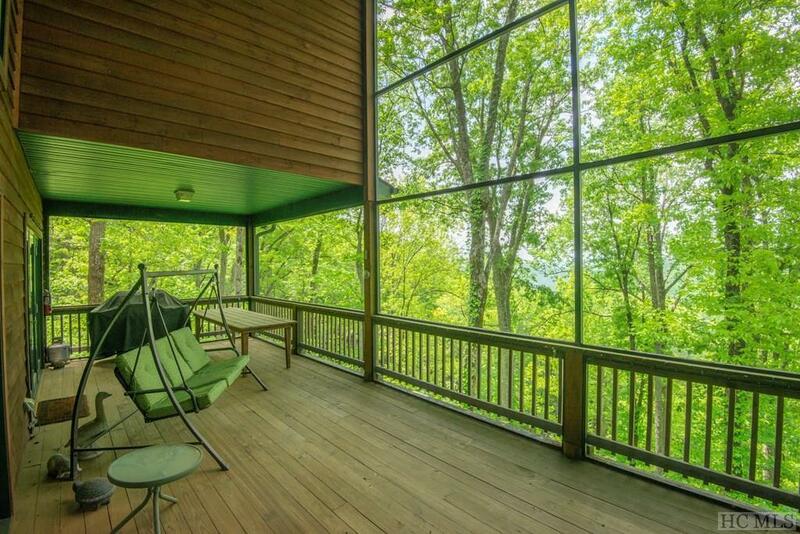 While out on the porch, take in the sounds of the waterfall that adjoins this 5.19 acre property. 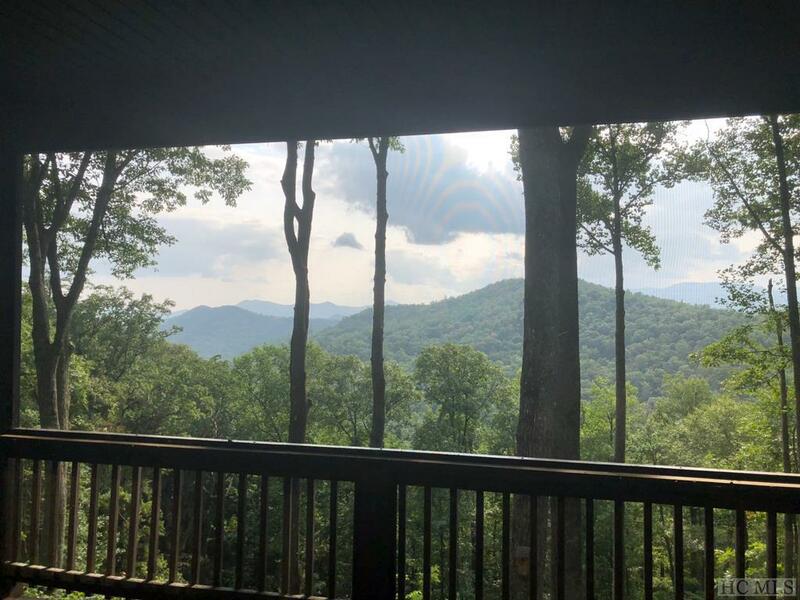 Located up the mountain from the North Georgia lake area, you gain lots of elevation and can thus enjoy much cooler summer temperatures, and you're also within a short drive of Highlands, NC, and all that this unique mountain town can offer. 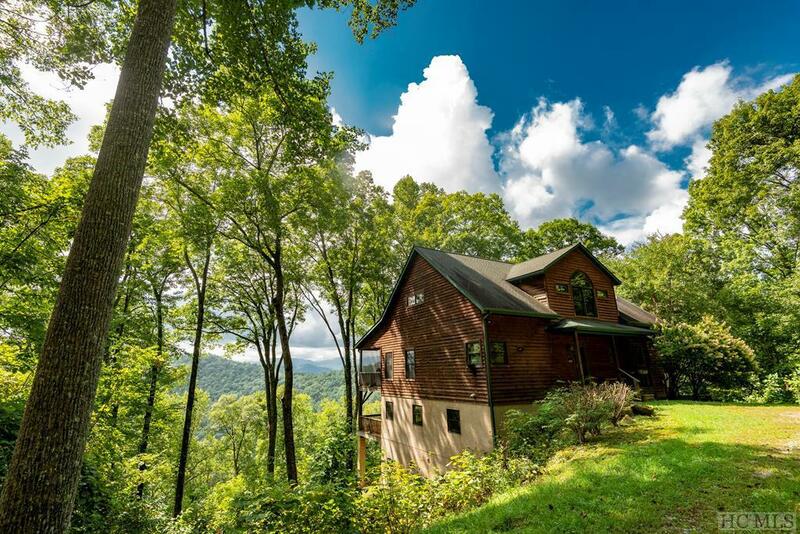 You'll be close to zip lining, golf, winter snow tubing, and untold miles of hiking trails.